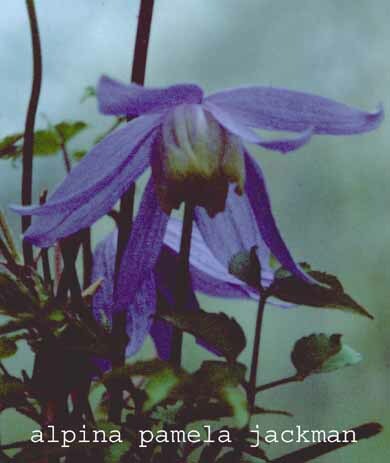 Rich, deep purple blue bell shaped 1-2"(3-5cm) flowers in April and May, followed by attractive seed heads. Mature height 6-8' (1.8-2.5m). Pruning group A.